Passionate music and animated performances! Ever since he can remember, Robbie Woods has been captivated by these very things. Playing the piano since the age of 5, and singing and writing since 18, he has drawn from the most memorable experiences of his favorite artists, to craft himself as a notable musician and entertainer. After storming the fair circuit for 3 consecutive years, taking 1st place in the Clark County Fair, Multnomah County Fair, and Oregon State Fair talent shows, Robbie became the front-man of a premier country band. Performing shows with thousands in attendance, he has opened for label artists such as Keith Urban, Luke Bryan, Reba McEntire, Sara Evans, Brantley Gilbert, and Lee Ann Womack. He has also worked closely with several FM country stations in the region, with some of his published works in their regular rotation. Robbie has also made it a point to frequently visit Nashville, performing at Tootsies, The Stage, Whiskey Bent, Cadillac Ranch, The Bluebird Cafe, and The Nashville Palace, alongside some amazing friends. One, incudes Luke Bryan, backing him on piano. In Nashville, Robbie studied song structure at ASCAP, writing songs in the same hallway as Brad Paisley. He has written with several Nashville co-writers and has built-up an impressive repertoire of over 100 original songs, always trying to capture inspiration. Recording sessions total-in at over 600, recording on music row and with musicians that have recorded and produced for Jason Aldean, Blake Shelton, Martina McBride, Easton Corbin, John Michael Montgomery, and Trick Pony. Some of these musicians have also backed Robbie. Vocal training has come by way of Robert Goulet and by Eugene Trenell Lewis, who is also the vocal trainer to Alecia Beth Moore, the lead singer of the band Pink. As a result, he has drawn the attention of Mushroom Music Publishing, Big Machine Records, and The Valory Music Co., to name a few. Robbie performs live throughout Oregon and occasionally in the surrounding Tennessee area and has had Rascal Flatts' multi-platinum mastering engineer, Adam Ayan, master his work, in person. It has certainly taken true dedication, to become a developed artist, currently seeking a recording, publishing, and management contract. 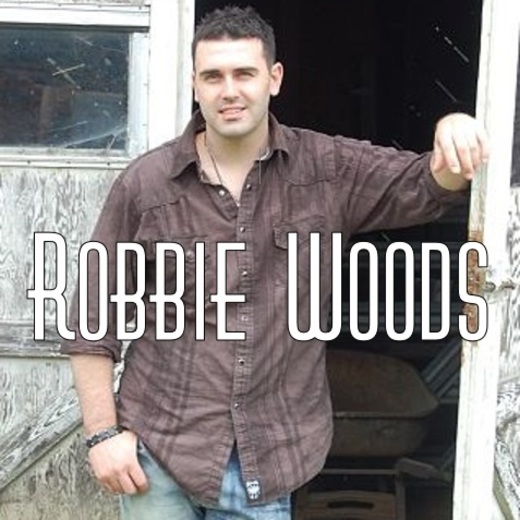 Become Robbie's newest fan today and hear his featured originals right here! Be on the look-out for this dynamic and upcoming artist, Robbie Woods!